The world can’t get enough news about celebrities, so it makes good business sense to tap into that obsession and use it to bring more revenue to your business. It’s also easier than you think. Think about the magazines you see next to the checkout stand in the grocery store. People are fascinated by celebrities which draws more attention to anything featuring them, including ads. This makes celebrity very powerful in today’s society. Every year billions of dollars are spent on celebrity endorsements. In fact, the phenomenon is growing as people want to know more about what their favorite celebrities are doing, wearing, eating, shopping and where they are doing business. Today’s smart businesses are connecting with celebrities, tapping into the power of association between the celebrity and their business. Due to this celebrity obsession, people are already thinking about celebrities. That means associating to a celebrity allows you to use Robert Collier’s copywriting secret of “entering the conversation already occurring in your prospects or customers minds.” This helps you grab attention over the ever-growing competing ads in the market. Celebrity endorsers foster a connection between the product or service and the celebrity endorsing it. This draws attention, enhances the buying decision and loyalty of consumers. And because people hold most celebrities in high regard, a celebrity endorsement can help instantly build trust with your customers, clients, patients and prospects. It can also greatly increase the chances of your product, service or company being remembered. Or attract a new type of audience. Companies who understand this use it to their advantage and often are willing to pay handsomely for it. NFL Quarterback Peyton Manning receives $10 million alone in product endorsements. He’s pitched MasterCard, Papa John’s Pizza, Direct TV, Kraft’s Oreo cookies and PepsiCo’s Gatorade, to name a few. The truth is though, you don’t have to pay millions of dollars to use celebrity in your advertising. In fact, you can use celebrity to draw more attention to your products and services, increase loyalty to your brand, attract a new audience and make your product, service or company more memorable…even if you run the smallest business and don’t have one bloody cent to pay for endorsements. What businesses should use celebrity in their advertising? Any business can use celebrity to grow their business. Doctors who treat famous athletes or celebrities can ask their famous patients for testimonials and/or if they can use their name for promotional purposes. Realtors who have sold houses to celebrities. Restaurants who have celebrities that frequent their establishment or even capturing a picture with a celebrity dining at your restaurant one time can be used in newsletters, postcards, etc. You see everything from car dealers to cleaning services to insurance salesmen. It doesn’t matter if you sell products, services or both! 1) Breathe new life into a failing product or service. If you have a product or service which you are thinking about dropping because it requires too much marketing leaving little or no profit, consider using celebrity to not only create new interest and excitement in consumers, but also to capture attention much quicker so that you’ll require less marketing. 2) Cross over into a new audience segment. If you are looking to crossover into a new audience segment, consider teaming up with a celebrity that appeals to that new segment. Many companies are finding gold by crossing over to market their products and services in the Hispanic market. ConAgra has been successful in using Hispanic celebrity chef George Duran a national spokesperson for its Hunt’s brand to generate great results in this market. 3) Position your brand and convince people to try it. Using a local celebrity with a good reputation that falls within your customer demographics may convince consumers to try your brand. A local Harley Davidson dealership in north Florida teamed up with radio station disc jockeys they knew road Harleys. Over the years, they built up events and business, getting a lot of free publicity from the DJ’s who would talk about the rides they took on their Harley Davidson Motorcycles. 4) Build up Awareness. Let’s say your advertising contains a celebrity spokesperson and your competitor’s doesn’t? Whose do you think will get noticed faster? Yours of course. This will drastically cut down the time it takes for consumers’ to become aware of your product or service and understand what your business offers. This makes it an effective way to reduce the amount you need to spend in advertising to expose your business to your target audience. 5) Increase consumer spending. As I mentioned above, our celebrity-obsessed culture means mentioning a celebrity in your ad can grab people’s attention fast. Once you have their attention, that celebrity can instantly make your product more credible and trustworthy though association with that celebrity. In fact, people will buy your product or use your service just because a celebrity does. This is because of the “If it’s good enough for her, it’s good enough for me” mentality. If a local celebrity uses a certain bank, accountant or investment service. Or if they have great hair or always look “put together” and you are the business service they use or shop with, you can greatly increase consumer spending just because your customers want to emulate that celebrity. For example, a hair salon that styles a local celeb with great hair might tap into the fact that their consumers wish to have hair that looks just as great as your celebrity endorser. 6) Distinguish your product or service. Products and services can easily be commoditized. Associating your business with a celebrity can help people remember you and distinguish you in new ways. When the owner of Unified Martial Arts Academy Dwight Woods started showcasing his connection to martial arts superstar Bruce Lee, he went from barely surviving to a thriving, profitable business. Associating with a celebrity can significantly affect consumers’ response to your advertisement, both positively and negatively. It’s important to choose the celebrity that will supercharge your business and boost revenues. • Is your celebrity successful? • Does he/she have a good personality? • What image does the industry they are associated with have? • Are they attached to any scandals? You’ll want to consider how your audience will react to factors such as the image of the sport or industry tied to an athlete or endorser too. For example, if your audience is into golf and not into car-racing, obviously it would be more effective to pick a pro-golfer than a race-car driver. Or if your audience considers boxing a brutal sport, associating with Muhammad Ali may not be the best choice. You’ll also want to consider the appearance of the celebrity endorsing your product or service and how your audience will react to him or her. In 1989, Pepsi announced they had signed Madonna to a year-long endorsement contract, paying her $5 million. In exchange, she would appear in a series of television commercials and Pepsi would sponsor her concert tour. Targeting a young audience, Pepsi had been successful using hot pop stars in ads before. However, Madonna’s controversial “Like a Prayer” MTV video portraying burning crosses and other dark scenes caused a backlash and negative press for Pepsi, including boycott threats. In the end, Madonna was allowed to keep her $5 million advance and Pepsi stopped airing their Madonna ads. Pepsi had failed to ask to see Madonna’s videos before they signed the deal. It cost them a ton of bad press and millions of dollars. When you can get celebrities to appear using your brand, this makes it easier (and less costly) to use big celebrities in your advertising. Because after all, if they appear wearing it in a picture in a magazine or at an event, you can mention it or even show the picture in your ad. Plus if they are using it, you might be able to get a testimonial from them following their use of your product or service or to get them to appear where others can see them using your product or service. 1) Swag bags. Events that attract celebrities often give gift bags to everyone attending. Providing your product for these gift bags is one way to get celebrities to appear with your product and sometimes will elicit testimonials. Another small company, Sunisha Designs which makes custom handbags was able to get their handbags included in LaFemme Film Festival celebrity swag bags in Beverly Hills, CA. She was able to create a local buzz by sending out a press release and was featured in several publications as a result. 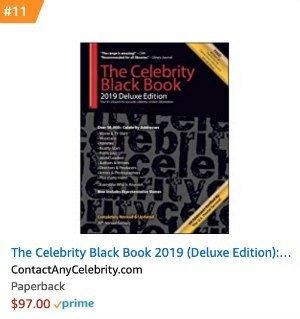 She can now say “as featured in” for both the event and the publications she was published in to attach a celebrity to her brand. 2) Direct Mail. Mail samples of your products directly to celebrities who match your target audience. For example, a start-up fashion watch company called RumbaTime mailed their watches to style-conscious celebrities. Soon after their bright colored watches were appearing in photographs on the wrists of celebrities such as Snoop Dogg and Jaime Pressly. This skyrocketed their sales to over $1 Million in sales in their first year. This can work for any type of product and doesn’t necessarily require your typical celebrity. Consider sending direct mail to experts in your field also to see if they will try your product and give you an endorsement or testimonial. Sound Oasis who makes the Glo-to-Sleep masks approached sleep expert, Dr. Michael Stevenson and was able to get him to do a study with their product. He then provided an interview and testimonial for them to use. 3) Hire a one-off celebrity appearance. Dan Kennedy’s GKIC events have brought in celebrities such as country singer/songwriter/recording artist John Rich and The Monkees’ Micky Dolenz to perform at their events. It’s much cheaper to hire a celebrity to play your annual event than it is to hire them to pitch your brand year round. The idea was to have an all-purpose portable gym, but it wasn’t selling. So Reynold’s contacted marketing guru, Peter Bieler for help. Bieler thought it would be perfect as a thigh shaper and knew he would need a good looking celebrity to market it. He immediately thought of Suzanne Somers and enlisted her help in advertising, what he renamed the Thighmaster. Within 18 months of enlisting Somers help they had sold six million Thighmasters. If you can’t afford a spokesperson for your product, you might consider offering to enter into a joint venture deal, paying a percentage for every product sold. The George Foreman Lean Mean Fat-Reducing Grilling Machine (commonly known as the George Foreman Grill) was invented by Michael Boehm and Robert Johnson. After George Foreman’s comeback when he regained the heavyweight world championship, he was successful, likable and well-known for eating two burgers before every boxing match. This made him a great candidate as a spokesman for the grilling machine. Up to that point, Foreman had always been paid a lot of money to do product endorsements. However, with the George Foreman Grill, he was offered a completely different deal: No upfront money. If Foreman would agree to endorse the product, it would be his product and he would enter into a joint venture deal. Foreman agreed and was paid approximately 40% of product sales until 1999 when they paid Foreman outright in exchange for the right to use his name. The grill became popular worldwide, selling over 100 million units since it was first launched. Which would you rather buy? A no-name grill or a George Foreman Grill? 1) Don’t forget your camera. At every GKIC event, there are opportunities to take photos with celebrities. For example, at Info-Summit 2012 Diamond Members got to take photos with Adam West (best known for his role as Batman) and the Batmobile and at SuperConference 2012 Diamond Members took pictures with country recording artist John Rich. Be sure to take advantage of these opportunities. At the 2013 Women’s Conference, attendees could take pictures with Leeza Gibbons and Dan Kennedy. Even if you do nothing more than putting the photos up on your website with a caption under each photo listing Leeza Gibbons, you’ll draw more attention to yourself. For starters, if tagged correctly, your website will come up as fresh content for people searching for Leeza Gibbons or Dan Kennedy. Use these pictures in your newsletter, ads, postcard mailings, etc to grab eyeballs and associate yourself with these celebrities. Doing so will give you instant credibility because of your association and immediately elevate your status in the eyes of many of your customers. Customers will also become more interested in you because you “know” a celebrity. So be on the lookout for opportunities like this by always carrying a digital camera with you. These days most cellular phones will do the trick. If you are out somewhere and spot a celebrity ask if you can have a photo with them. Many celebrities will say yes. Independent insurance salesman Mike McLean has taken pictures of celebrities with him at events, at restaurants after he spotted them, and various other places. Mike used these photos to capture attention and outsell National insurance companies in his local market. He has sent out thousands of postcards within a 50-mile radius of his agency featuring himself with different celebrities such as George Foreman, Rick Flair, and Olympic Gold Medal winners. Because people are used to seeing postcards of celebrities in their mailbox, his mail gets put into the “A” pile instead of the trashcan. Use these photos in your newsletter, postcards, ads etc. to grab attention. 2) Make yourself a celebrity. There are many reasons for making yourself into a celebrity. For one, it makes it a lot easier to sell whatever it is you are offering. Once you are a celebrity, you can often sell at a much higher price and sometimes even crossover into new markets. Country artist Taylor Swift used her celebrity to crossover from the country market to the pop market when she released her new album “RED”. Using her massive success from her role as a country star, she was able to combine her old-time crooning with adolescent issues which made both teenage girls and her diehard country fans go crazy. There are many ways to make yourself into a celebrity. For example, a restaurant that is chosen as one of the featured food vendors at a major venue such as an NFL stadium, concert arena or for a major event can use that association to develop their own celebrity. Speaking in front of groups and at events can build you into a local celebrity. Positioning yourself as an expert in your newsletters, on your website and marketing collateral will help you build your celebrity. 3) Associate yourself with something greater than yourself. In the music industry, artists will seek out a well-known producer, manager or fellow artist to associate themselves with. This creates influence because of their association. For you, this might mean tying yourself to a well-known charity or brand. It might even mean your brand itself. For instance, the author of the Chicken Soup for the Soul book series, Mark Victor Hansen had trouble with people recognizing his name. However, people know and remember The Chicken Soup for the Soul books. 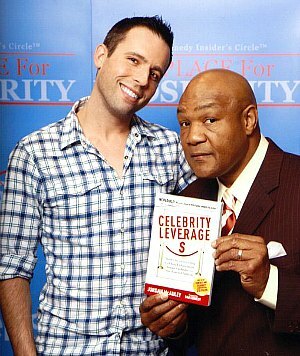 The “celebrity” he ties his advertising to now is his “Chicken Soup for the Soul” books. 4) Hire a celebrity look-a-like. Old Navy Clothing store is known for creating clever parody ads that at times have included celebrity look-a-likes. This is a much more affordable way to get a celebrity to appear in your ad. You might even consider fictional celebrity characters such as a character from a famous book or the tooth fairy or Santa Claus. This makes local celebrities a better choice when marketing a local brand. Using local celebrities can also convey that as a business, you understand your consumer and speak their language. In other words, they identify better with you. At Valentine’s Day, a local chocolate shop in Florida featured a local Jazz singer in a series of ads. The singer had gained a lot of popularity in their town and the ads created quite a buzz. They were a new shop in town competing with an established chocolate shop in business for nearly 20 years. The result was that their business nearly doubled. 6) Interview “celebrities” in your field. Copywriter John Forde began a newsletter about copywriting by interviewing well-known copywriters in his field. He builds up his subscribers by capitalizing on the celebrity of the people he interviews. Look for reviews by popular bloggers and post their review on your site. You can sometimes encourage bloggers to review your product by sending them a free sample. 8) Find a dead celebrity. A few dead celebrities that are commonly used are Marilyn Monroe, Elvis, Babe Ruth, James Dean, Vince Lombardi and Humphrey Bogart. It’s important to note that if you plan to use photos of recognizable celebrities in an advertisement, you’ll want to first contact the appropriate representatives for permission. This is true even if you found the photo in public domain. For instance, if you used a picture of Marilyn Monroe, her estate may claim rights to their likenesses in images and photographs may be subject to those claims. There are many more ways to use celebrity in your marketing. However, even if you have limited resources you should be able to find multiple ideas from the twelve techniques mentioned in this report. If neither you nor your brand have reached celebrity status I recommend you pick at least one of these strategies and get started today. Work on building celebrity for yourself or in your own business, attaching “celebrity” to it, or both. Save time and money by watching and adapting ideas from how you see top companies using celebrity in their business. Apply these techniques and you’ll gain instant attention and credibility. You’ll experience less price resistance and will even be able to charge more for your products and services. You’ll enjoy the perks of being a local celebrity such as free advertising and publicity. And you’ll skyrocket sales and profits without breaking the bank!